Google Maps as a slave to population side brings up an interesting point, actually. 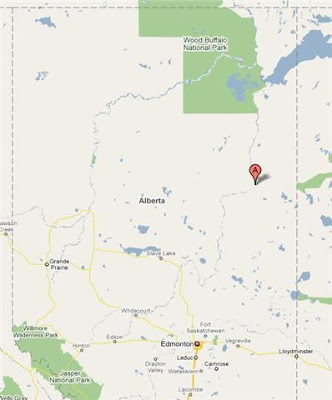 Notice anything strange about this view of northern Alberta? 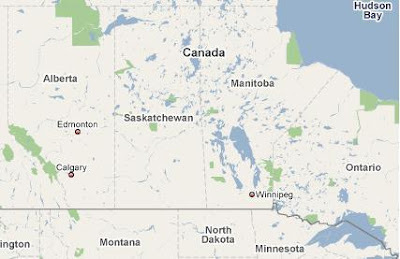 Yes, that's right, Fort McMurray, one of the province's largest and most important urban centres, is missing. Why? The 1995 amalgamation into the Wood Buffalo Regional Municipality cost Fort McMurray its official designation as a municipality. No municipality, no city, even with 65,000 residents (a little larger than Whitecourt). One of the more unfortunate side effects of the little taxation decision was costing the community a lot of international status. Not that Sherwood Park seems to mind.